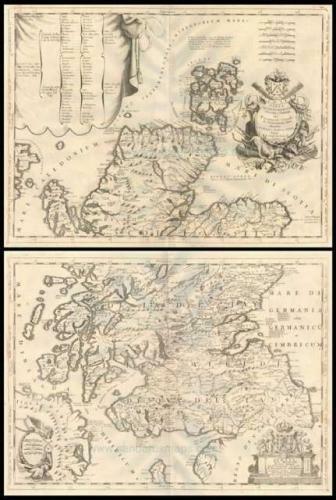 A large map of Scotland, on two sheets. The Northern map has a list of the provinces and their capitals at upper left, and with a title cartouche on the right side. The Southern part has a title cartouche at lower right.